The two essential claims of the environmentalists, which I take for granted are already well known to everyone, are (1) that continued economic progress is impossible, because of the impending exhaustion of natural resources (it is from this notion that the slogan “reduce, reuse, recycle” comes), and (2) that continued economic progress, indeed, much of the economic progress that we have had up to now, is destructive of the environment and is therefore dangerous. The essential policy prescription of the environmentalists is the prohibition of self-interested individual action insofar as the byproduct of such action when performed on a mass basis is alleged damage to the environment. The leading concrete example of this policy prescription is the attempt now underway to force individuals to give up such things as their automobiles and air conditioners on the grounds that the byproduct of hundreds of millions or billions of people operating such devices is to cause global warming. And this same example, of course, is presently the leading example of the alleged dangers of economic progress (source). 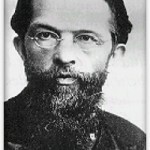 In his groundbreaking Principles of Economics, Carl Menger (1840-1921), the founder of the Austrian School of Economics, developed what he came to call the Theory of Goods. This theory has direct and immediate relevance regarding, for example, global warming, ozone depletion, resource scarcity, and so on. Indeed, its relevance cannot be overstated. Menger’s Goods Theory begins by pointing out that there is a crucial distinction between objects in and of themselves and “goods” proper. The object alone — for example, any resource before it actually becomes a resource — does not possess value intrinsically. Rather, it is in relation to human use that the thing becomes valuable. It is precisely this, then, that makes it a good. Or put another way: a thing becomes a good when it is able to satisfy some human need or want. * Such properties as render the thing capable of being brought into a causal connection with the satisfaction of this need. * Human knowledge of this causal connection. * Command of the thing sufficient to direct it to the satisfaction of the need (Principles of Economics, page 52). It is important to note that these last two things are man-made. It is equally important to realize that the last one is for the most part achieved by means of labor and the capital that that labor produces. This implies – to quote Dr. Reisman – that the resources provided by nature, such as iron, aluminum, coal, petroleum and so on, are by no means automatically goods. Their goods-character must be created by man, by discovering knowledge of their respective properties that enable them to satisfy human needs and then by establishing command over them sufficient to direct them to the satisfaction of human needs. The upshot of all this is that nature — or, if you prefer, the environment — is not some relatively limited pool of resources that man merely plucks, exploits, depletes, and then moves on from. On the contrary, as Menger makes incontrovertibly clear, mother nature gives us only the barest material — “the physical properties of the deposits in mines and wells” — but she does not provide the goods-character. We provide that. “Indeed, there was a time when none of them were goods” (Ibid). Nature, contrary to what the environmental philosophy would have you believe, does not possess intrinsic value. That — and nothing else — is the fundamental argument against all of environmentalism. The earth is a plenum: it’s a solid sphere packed full of chemicals. Those chemical elements are indestructible. They can change properties and forms, but they cannot cease to exist. That mass of teeming chemicals are all potential resources. As humans evolve — as we make new discoveries and develop newer and ever newer technologies — we find new resources; we find things we cannot conceive of even months before. We find new uses for things that were once useless, like oil, which is barely 100 years old as a resource (a “goods character”); and we find new ways of using old. We move on from whale oil and wood, to kerosene, to coal, to hydro, to nuclear…. Most of what people think they know about energy is so very wrong that their convictions, heartfelt though they may be, lie beyond logical contradiction or refutation….What most of us think about energy supply is wrong. Energy supplies are unlimited; it is energetic order that’s scarce, and the order in energy that’s expensive….Supplies do not ultimately depend on the addition of reserves, the development of new fuels, or the husbanding of known resources. Energy begets more energy; tomorrow’s supply is determined by today’s consumption. The more energy we seize and use, the more adept we become at finding and seizing still more. What most of us think about energy demand is even more wrong. Our main use of energy isn’t lighting, locomotion, or cooling; what we use energy for, mainly, is to extract, refine, process, and purify energy itself. And the more efficient we become at refining energy in this way, the more we want to use the final product. Thus, more efficient engines, motors, lights, and cars lead to more energy consumption, not less (Peter Huber and Mark Mills, The Bottomless Well). The earth, far from being “raped and nearly depleted,” has barely been touched. This mass hysteria regarding CO2 and chlorofluorocarbons and so on is a waste of time and energy. Human freedom breeds human progress. And progress by definition is not static. The economist Joseph Schumpeter called it creative destruction. Today’s consumption determines tomorrow’s technology. The more we use, the more we innovate — provided, that is, we are left free to innovate. The profit motive, as its very name implies, motivates and incentives; for humans have a limitless desire to better their lives. Wealth not only builds progress; wealth is progress. If there is a demand for something to replace, for instance, freon, the untrammeled freedom to innovate will meet that demand by far the fastest. Thus, if it is the environment you’re concerned about, then it is pure, unadulterated laissez-faire capitalism you should be fighting for tooth and nail. It is this, and not centralized power, or the establishment of worldwide central-planning committees to regulate CFCs and CO2 — this is what brings cleaner environments. To think anything less is to commit a grave logical fallacy. 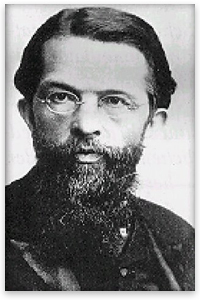 Real, positive knowledge of the profit motive and the price system, of saving and capital accumulation, of money, economic competition, and economic inequality, and of the harmony of interests among men that results from the joint operation of these leading features of capitalism — all this knowledge is almost entirely lacking on the part of the great majority of today’s intellectuals. To obtain such knowledge, it would be necessary for them to read and study von Mises, who is far and away the most important source of such knowledge. But they have not done this. Ignorance of the ideas of von Mises — the willful evasion of his ideas — has enabled the last three generations of intellectuals to go on with the delusion that capitalism is an “anarchy of production,” a system of rampant evil, utter madness, and continuous strife and conflict, while socialism is a system of rational planning and order, of morality and justice, and the ultimate universal harmony of all mankind. For perhaps a century and a half, the intellectuals have seen socialism as the system of reason and science and as the ultimate goal of all social progress. On the basis of all that they believe, and think that they know, the great majority of intellectuals even now cannot help but believe that socialism should succeed and capitalism fail (George Reisman, “Environmentalism Refuted”). I have read in The History Of Economics (or to me more precise, listened via an audio book!) of Menger and the other major economists that have influenced the science of economics since Adam Smith wrote his Wealth Of Nations (which I am currently reading like a big boy – a proper book this time, with no pictures). Even in Adam Smith’s day (and before) there were concerns about depletion of resources and of overpopulation, and there were alarmist predictions of world poverty and famines unless we all changed the way we lived (and multiplied). And the major reason that these predictions were so wrong, was that the alarmists always failed to take into account Man’s adaptability and ingenuity when it comes to developing new technology. The alarmists of Smith’s day wetted the bed worrying about how we would produce enough hay to sustain the horses needed to transport the massively increased population 100 years into their future. Of course, horse food was a non-problem since we came up with the motor car. Problem solved without even trying. Sadly, this is still a lesson that never seems to be learned. And so we see now alarmist predictions, or ‘projections,’ of the impact of climate change on society in 100 years time, and of oil depletion, and that old favourite of the alarmists, overpopulation. And once again, the socialists’ solution is to impose ever tighter government regulation and control, instead of simply allowing men and women to be free to create and produce the things that are demanded or yearned for by society, and in doing so making the concerns of yesterday’s society disappear. I do wonder though – are our leaders really that ignorant – or is it just that they are exploiting the general ignorance of the masses in order to take ever more power? Of course it’s the latter. I think it is worthy to note that an inherent characteristic of humans is to anthropomorphise everything. We then apply whatever moral code happens to be en vogue to those rocks, animals, etc. For instance the Swiss are proving how enlightened they are by passing a bill granting plants rights. The added benefit of giving rights to mother earth is that we can feel good about ourselves when we “save” it. @ Redmond: Oh absolutely. The projection of human chacteristics onto animals in particular is something that really gets my goat. I hadn’t heard of ‘Plant Rights’ in Switzerland though. Crazy. I wonder if you people will finally be satisfied when there is not a single tree or plant or animal lfet on the planet!! I am going to assume that your remark was tongue in cheek, but in the event that it wasn’t, here is something to think about. When you look through the fossil record of our earth, you will find that about 99% of the species of plants and animals that have existed on this planet are now extinct. Nature doesn’t care about us, nature doesn’t care about tigers, polar bears, buffalos, dodos, peguins, 1000 year old redwoods, etc. etc. Nature doesn’t care about biodiversity. If a planet killing meteor was heading for the earth, nature wouldn’t lift a finger to stop it. It could be easily argued that the only thing that has ever cared about our blue planet are homo sapiens. Life, to put it a way that I think befits this blog, is a laissez faire system where various biological organisms compete for resources by adapting to their surroundings and exploiting niches through evolution. The most successful organisms are rewarded with continued existence, the others are condemmed to extinction. Life creates order from chaos. Humans are the only species that would intervene on behalf of another to save it from extinction. A lion would care not if it slaughtered the last gazelle. Humans have managed through adaptation to rise to a point where we are not struggling on daily basis merely to exist. We have created order from the chaos. And now being in this position we look out over the earth and place value on it, we place value on life itself. I don’t know about you, but I think that is pretty important. We place value on something that this universe that we live in couldn’t care less about. Now some people are mad that we have risen to this point, and would like to see us pulled back down into the daily struggle to survive, at the mercy of this cruel world we live in. They celebrate poverty, and would like to have half our children die before the age of five, our women die in childbirth, and healthy people be struck down by cureable diseases. And in the end they hope that we will become extinct too, just one more set of bones laying in the rock. And then there will be no-one left to care. No-one left to fight on behalf of life. I don’t know what fuels this self loathing. Maybe in killing god, some think we have become the opressor that god was – and now our existence oppresses this earth so we too must be destroyed. We have tasted the fruit of knowledge and we must pay, because we have dared to succeed. We dare to reach fo immortality. We have dared to rise out of the dirt and have an impact on this earth. Let me tell you one thing, not one creature, not one plant has zero impact, zero impact is the same as zero existence. Life is precious, and has value, because it is rare. As far as we know this planet holds the only life in existence in this universe, and at this point, we are the best chance that life has of continuing in this universe, of defending existence from oblivion. We are the masters of adaptation, and if we don’t make the mistake of giving up on ouselves, of thinking we have gone too far, that we have “progressed” enough, of letting those among us who want humans to have zero impact have their way, we will help life to spread throughout this universe, to make an impact. That is when I will be satisfied. I hope you have found that to be a satisfactory answer to your question. Doug: I wonder if YOU people will ever learn from history. YOU people have been bleeting on about overpopulation and depletion of resources and extinctions, blah blah (yawn) for centuries. When I was at school (about 20 years ago) I remember being taught that the rainforests were disappearing so fast due to logging that there would be no rainforests left in 20 years. So imagine my surprise today to learn that the rainforests are alive and well and thriving! And how many times has the ‘end of oil’ date been moved back? Now YOU people are screaming about global warming (that’s not actually happening). You didn’t mention it, but I know your type, Mr Lefty. Oh, the end is nigh! Think of our children! Think of our children’s children! Man, that record is well and truly worn out. Go and do something useful for a change and stop dictating to everyone else how they should live. You’re not qualified. YOU people make me sick. C’mon, now, Dave. Mr. Lefty IS thinking about our children. Else, why would he be so eager to saddle them with trillions of dollars of debt? There are great examples of the “goods-character” in the wonderfully addictive video game by Sid Meier, Civilization Revolution. In this strategy game you start off in the Ancient era with very little scientific knowledge. As you research different technologies natural resources start to become valuable to your civilization. You could be sitting right next to an oil reserve but it remains useless for centuries until your civilization discovers combustion. Perhaps 10-year old gamers will have better understanding of Goods Theory than most Marxists…I mean environmentalists.